Hajara Sule is a trained Role Model Caregiver (RMC) living and working in Shatta Community in Bosso Local Government Area (LGA) of Niger State in Northern Nigeria. She is one of the heroes of the RMC initiative of the Association for Reproductive and Family Health (ARFH), where community volunteers are trained in prompt Community Case Management (CCM) of Malaria for vulnerable groups. ARFH is a Sub Recipient to the National Malaria Elimination Program (NMEP) on the Global Fund (GF) Round 8 Phase 2 Malaria Project. 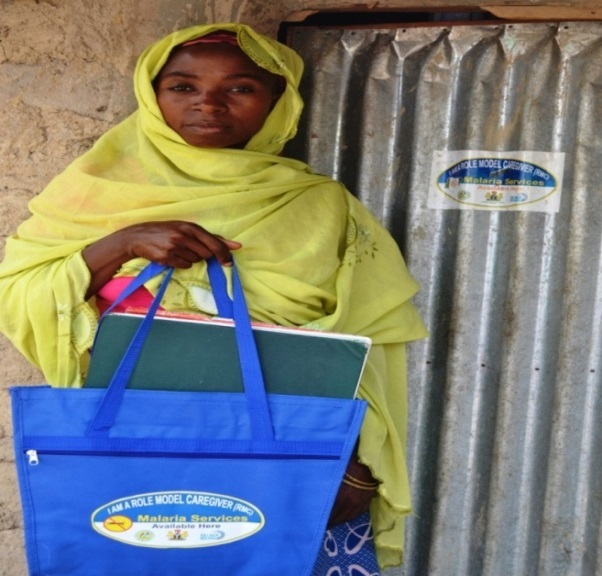 Hajara, like other RMCs, provides services around her home and community and serves as a liaison between her community and the primary health facility (PHC) to which she is attached. She provides prompt treatment and care for children under-five years with fever and has provided services to over 300 children in her community. She refers adults, especially pregnant women to health facilities to receive appropriate Ante Natal Care (ANC) services and engages in community mobilization and sensitization on malaria prevention activities. She is one of the 525 RMCs trained by ARFH across the 25 LGAs of Niger State who have achieved the mandate of bringing care to vulnerable groups as close to the home as possible. Each month, Hajara visits the local PHC to get anti-malarial medicine. She is able to provide proper account of medicines and treatments; her husband who is more educated supports her with documentation. She feels highly motivated by the support of her husband and her community. “My husband has been very helpful, he even helps with house chores whenever I am busy with my clients”, she says. Many women in Shatta come to Hajara for other health related issue and she promptly refers them to the Primary Health Centre. ARFH collaborates with local CSOs to provide supportive supervision to Hajara Sule and other RMCs in the community in Niger State. She has shown an exceptional level of commitment to Malaria prevention interventions which include improving the use of Long Lasting Insecticidal Treated Nets (LLIN) by encouraging mothers to hang their LLIN at night thus reducing cases of malaria in the community. She educates women on practical ways of reducing breeding sites for malaria in the environment. In her words “I visit homes, ensure their LLIN is properly hanged, encourage pregnant women to visit facility and also educate women especially on keeping their environment clean”. This according to her has helped in the reduction of malaria and increased uptake of ANC services in her community amongst pregnant women. In the words of the community leader, Hajara’s activities have helped to educate community members on early identification of symptoms associated with Malaria, increased prompt access to treatment and overall reduced Malaria related deaths particularly amongst children. She also helps in mobilizing women groups to participate at the quarterly community coordination meetings where health and other issues are discussed. She plays a major role in developing the content for the community coordination meetings drama presentation by organizing and directing role plays on Malaria Prevention to educate members of the community. Hajara is proud of her role and achievements, in her own words, ‘I am happy and privileged because many women look up to me in this community’. As a Role Model Caregiver, she is readily accessible even at odd hours when the local PHC is closed for the day. Hajara hopes to inspire other women to become change agents and active promoters of positive health seeking behaviours. She is one of ARFH’s community heroes, whom though receive only a stipend for transportation, is passionate and making a great difference in her community. Hajara attending to a client in her community. 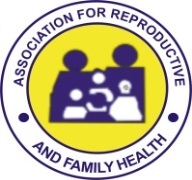 Founded in 1989, the Association for Reproductive and Family Health (ARFH) is a leading indigenous non-profit organisation in Nigeria committed improving the quality of life of underserved and vulnerable communities by promoting access to quality health care and harnessing community capacities for sustainable development. ARFH is a Sub-recipient to the National Malaria Elimination Program (NMEP) on the Global Fund Malaria grant and supports (in Phase 2) Adamawa, Bayelsa, Niger, Osun and Oyo States.